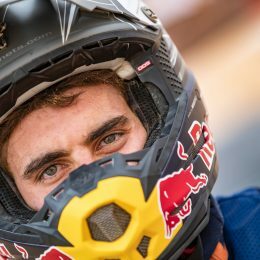 So, if Ryan Dungey (still very active with KTM and also in the saddle), Tony Cairoli, Jeffrey Herlings, Glenn Coldenhoff, Pauls Jonass have provided some suggestions and tweaks then you can be sure they have been implemented on this new spectrum of SX machines. The line-up actually involves three 4-stroke SX-F models – 450, 350 and 250 – and three SX 2-strokes: 250, 150, 125. Practically every style, taste and preference is catered for. But what else have KTM discovered? A dirtbike is not a simple or cheap investment so the 2019 offerings have to warrant the cost and effort to produce as well as entice riders that the latest gains on the dyno and through copious test runs are worth it. 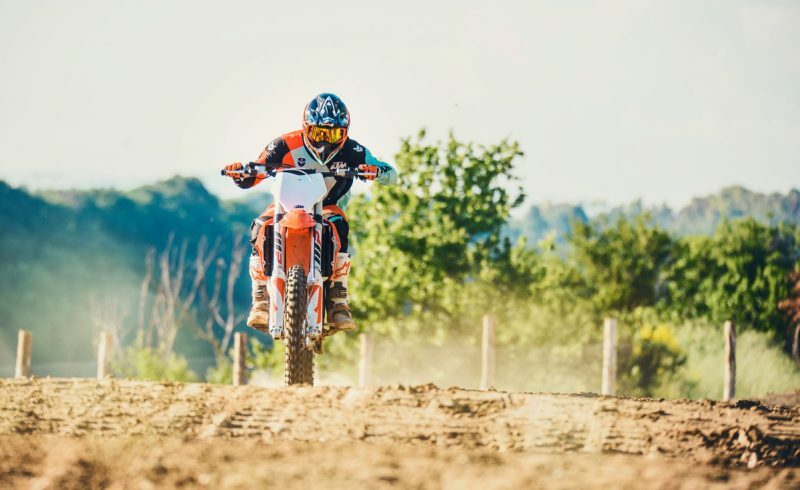 KTM Product Manager Offroad Joachim Sauer hints at the general direction of the SXs: “When it comes to performance then our goal was not to drastically improve it but rather aim for more rideability and more efficiency.” How was that done …? 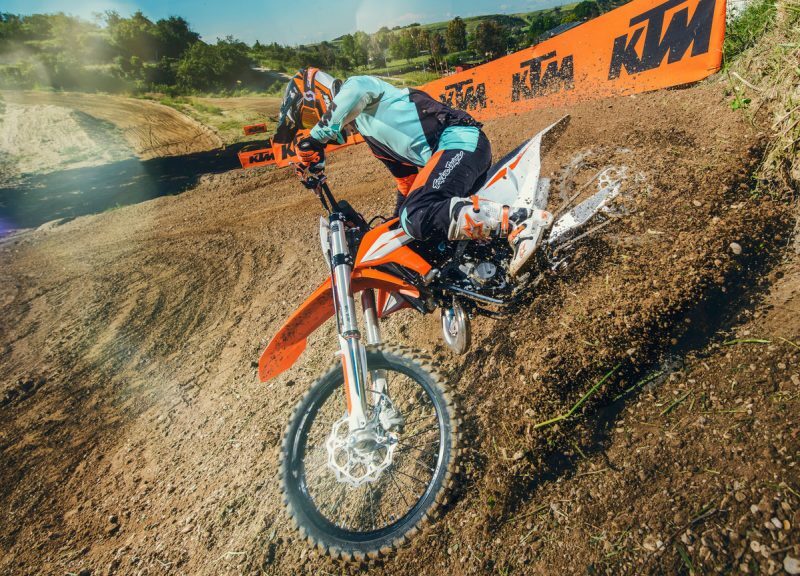 At the heart of KTM’s objective to make the SX models more rideable – almost more friendly with that fierce market-leading power-to-weight ratio – is a series of modifications, but perhaps the most significant is the new frame. Made from chromium molybdenum steel sections with a longer aluminum subframe and cast aluminum swingarm (with a longer chain adjustment slot) extra stiffness is the goal. 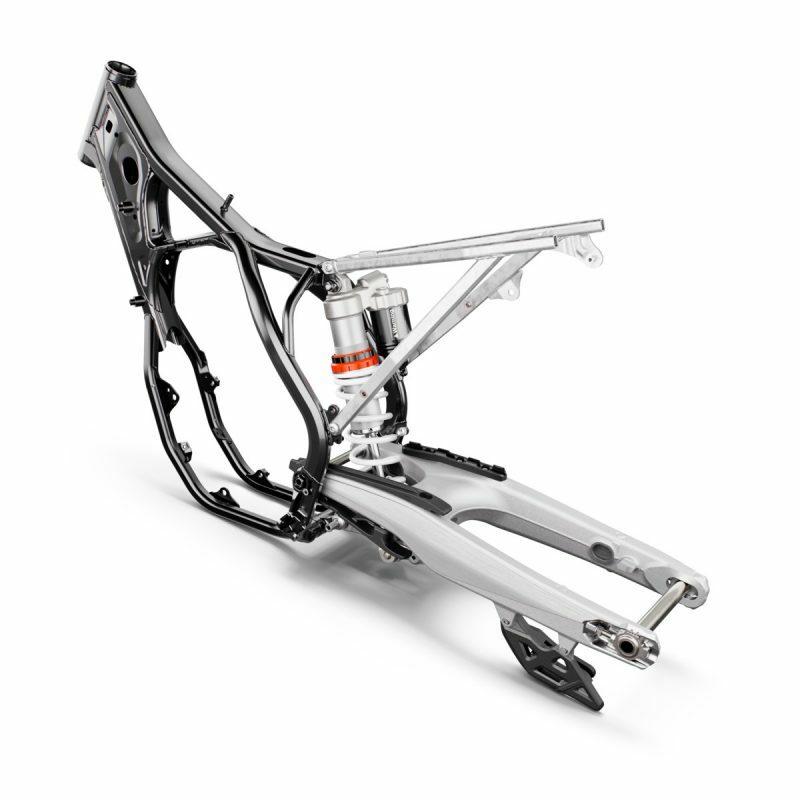 “The frame has been drastically improved to get the agility on one side but still keep the straight-line stability and the combination of the longer swingarm means the riders can now shorten or lengthen the wheelbase to make the bike turn easier or make it more stable on the straight,” Sauer says. 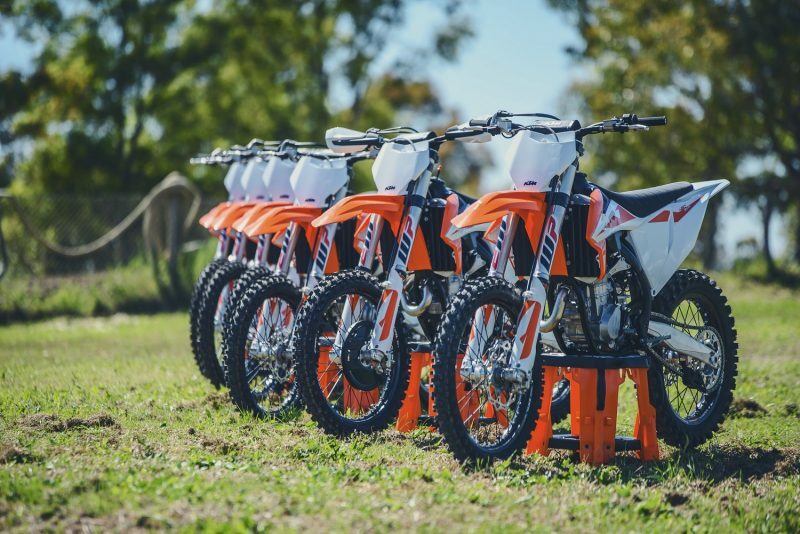 KTM have starved their SXs. More weight has been shed, and in the interests of rideability careful attention to engine internals and power delivery has been made to help the ‘loss’. 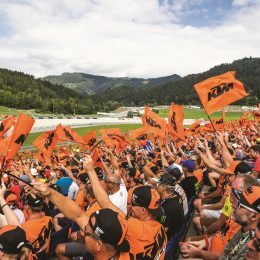 DS clutches and clever use of steel components and the fantastic time-saving advantages of using 3D printing technology means that KTM have reacted quickly to ideas. “The clutch components are made of steel and we have a weight drop; this is the old story of smart engineering and it is the same with the steel chassis because steel can be lighter than aluminum if you do it right,” advocates Viertlmayr. 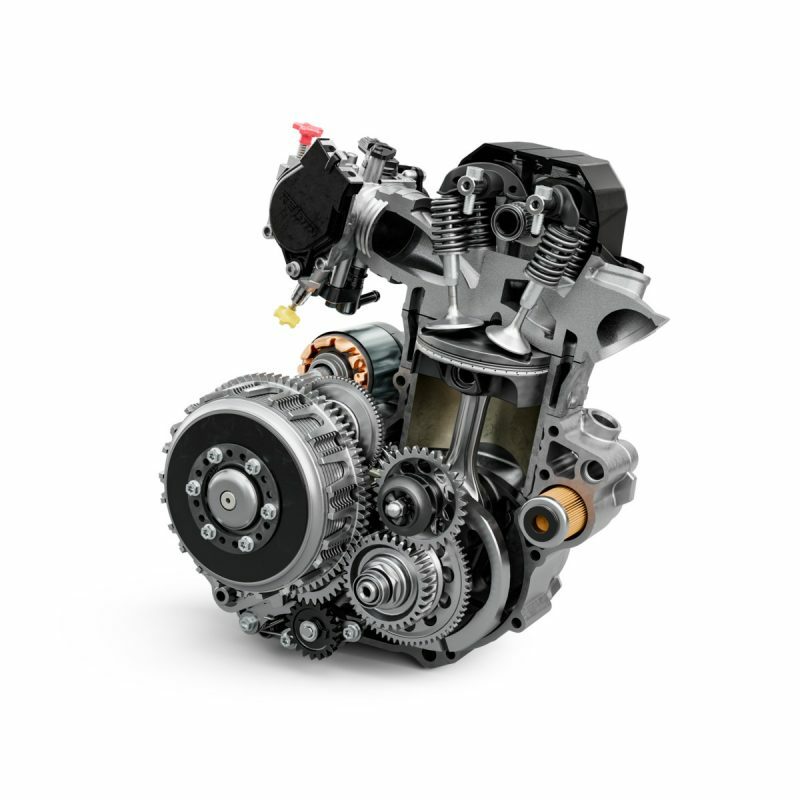 Re-arrangement of elements such as the radiators, and engine position (higher crankshaft on the KTM 125/150 SX) helps towards more centralization. New exhaust silencers and headers across the range have assisted in the weight-performance battle. 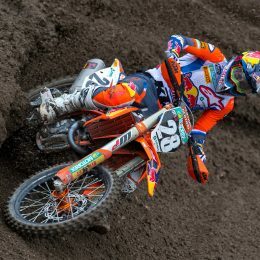 Other examples of how KTM have thought of the rider include the new KTM 250 SX pipe. Vastly reduced in size (Viertlmayr: “Our test riders always used to complain that they had to change the pipes five times a year.”) but with oval cross sections in the bends means that performance has been maintained and even boosted. 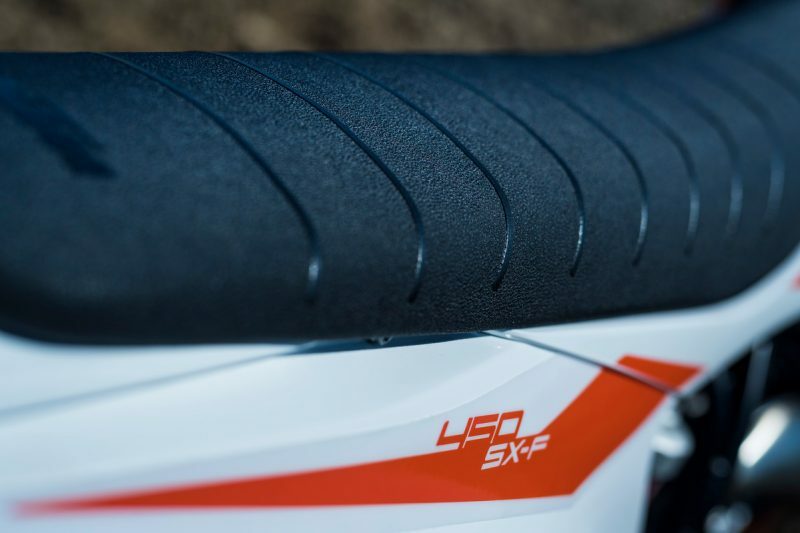 The SXs also have a new seat that is softer and more resistant: a feat that was achieved by careful analysis of every other option on the market and also comments by the pros athletes that are logging more bike time than most. 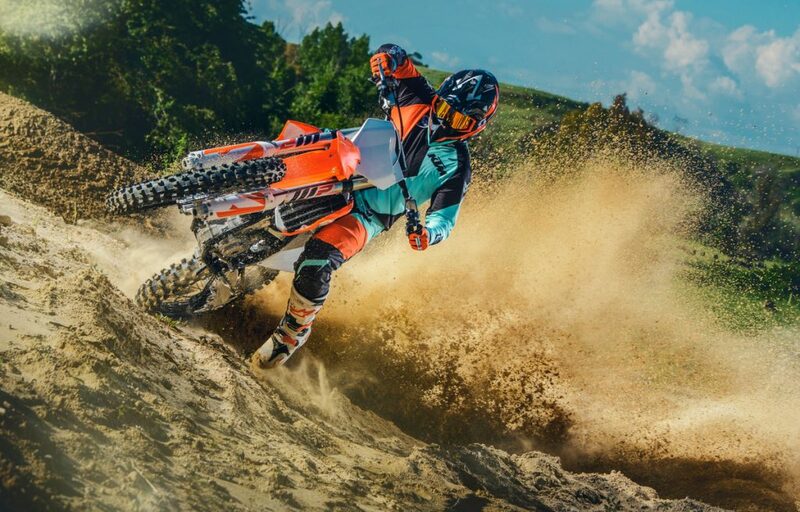 For more information about the 2019 SX range and for details about particular models visit www.ktm.com.